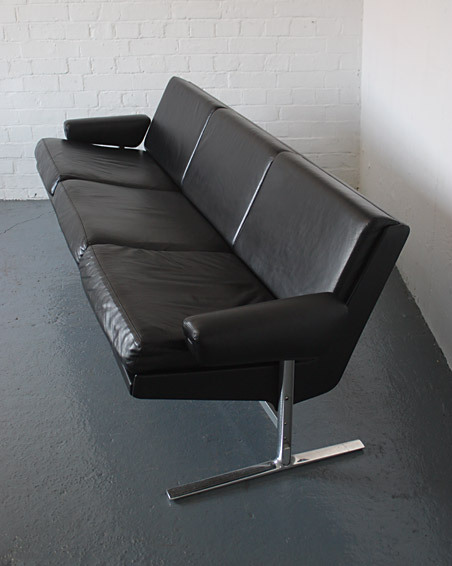 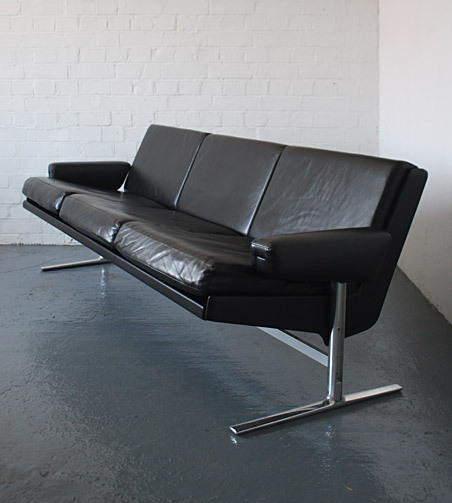 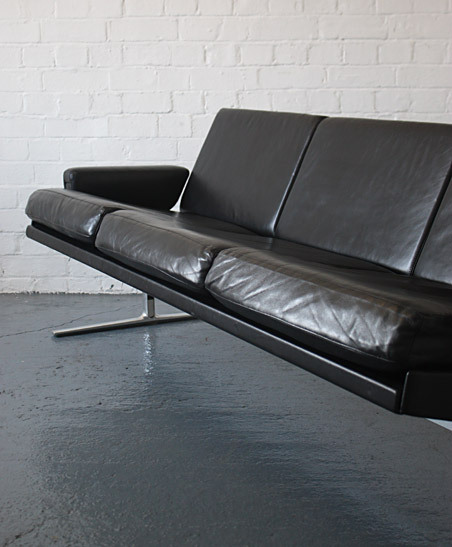 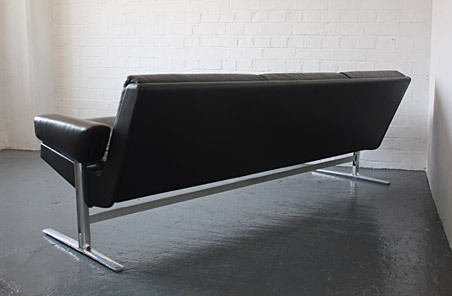 A rare sofa designed in 1973 by Robert Heritage for the Q-range made by Race Furniture, UK. 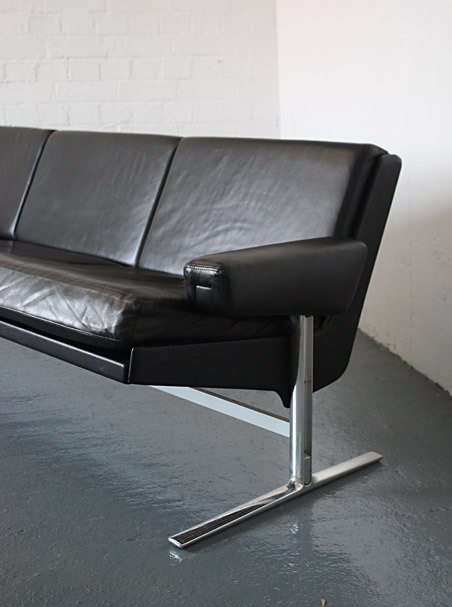 Metal frame, polished aluminium legs and webbed seat. 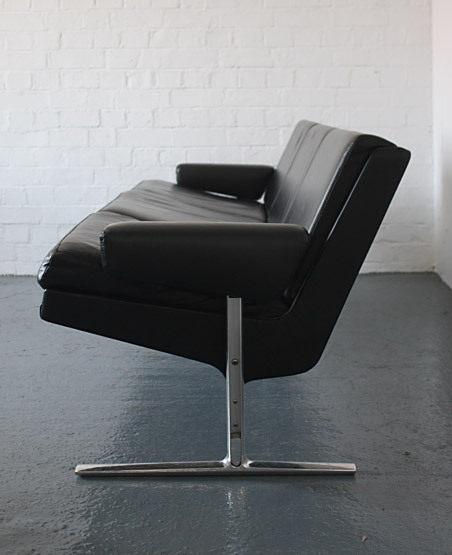 Has been recently reupholstered in black leather and is in excellent condition with some minor wear to the leather and some light scuffs along the back top edge. 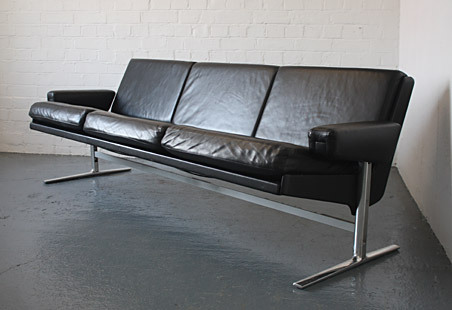 An elegant design by a great British designer. 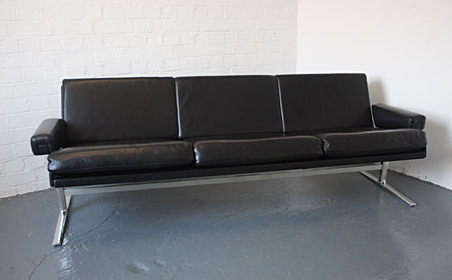 Dimensions: 180cm long x 70cm high x 60cm deep.